Game Night Movie Coming Soon! 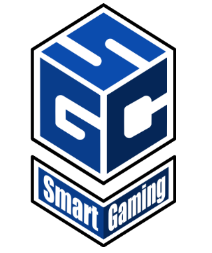 – Smart Gaming Co.
Tabletop Gaming and Escape Room News and Info. November 15, 2017 August 8, 2018 Joshua S.
Game Night Movie Coming Soon! Well I think it is official, gaming with your friends has become popular enough that Hollywood had to make a movie about it. “Game Night” is an upcoming American thriller comedy film by Warner Bros. Pictures. The movie’s premise seems to be based on a misunderstanding that occurs at the couples “game night”, leading them to believe that they are just playing the mystery game set up by that game night’s host. Some of the stars include the always funny Jason Bateman (Arrested Development and Horrible Bosses) Rachel McAdams (The Notebook and Sherlock Holmes) and a whole slew of other actors, including; Kyle Chandler, Jesse Plemons, and Jeffrey Wright. The movie is set to release in the United States on March 2, 2018. Personally, I am looking forward to the exposure this will give one of my favorite pastimes and can’t wait to see it! I hope the movie will at least feature some of the bigger names in board and party games, to help represent a typical “game night.” I will update in the future if more information becomes available. Hello, and thank you for visiting this site. We have been on hiatus for a little while now. But, we are back and publishing new reviews. You can also expect new article series and giveaways coming soon. Be sure to subscribe to our website and like us on Facebook so you don’t miss a thing.